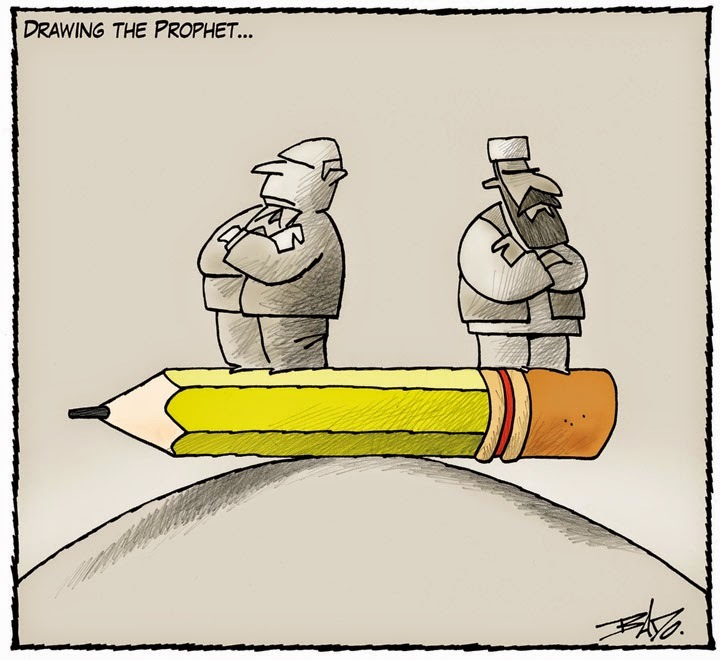 While much of the world focuses on the violence and threats that Western political cartoonists have faced for depicting the prophet Muhammad, many cartoonists are silenced around the world thanks to good old-fashioned government censorship and political oppression. 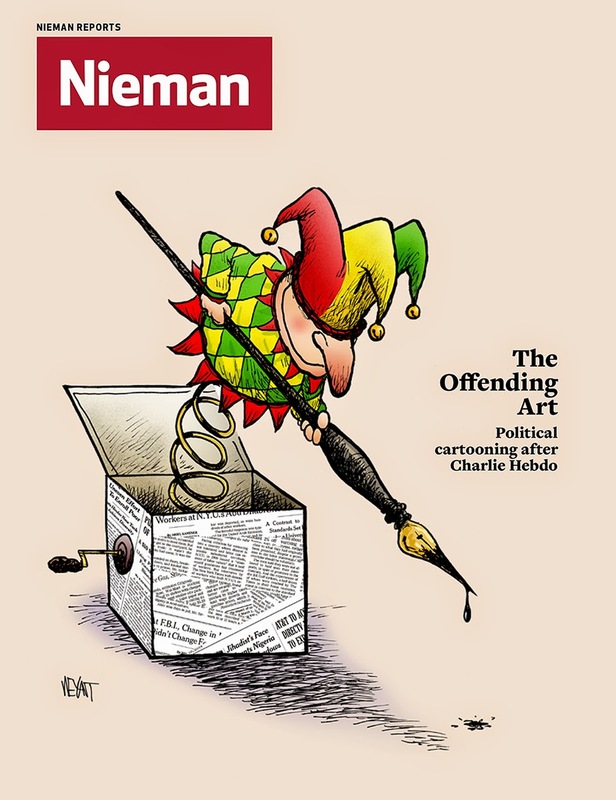 In Latin America, cartooning against the government in certain countries can carry heavy consequences. Find out more about cartoonists Bonil and Rayma Suprani here. 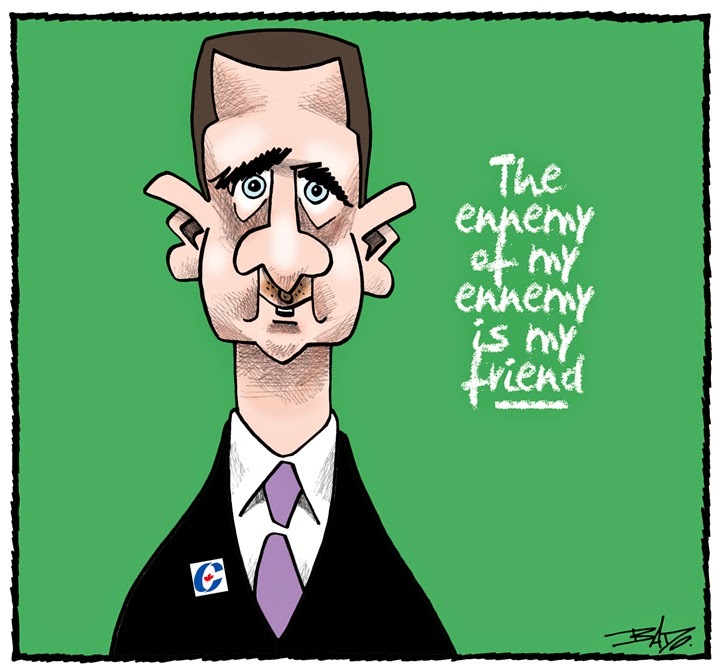 ... this wonderful cartoon by Brian Gable in last Saturday's Globe and Mail. 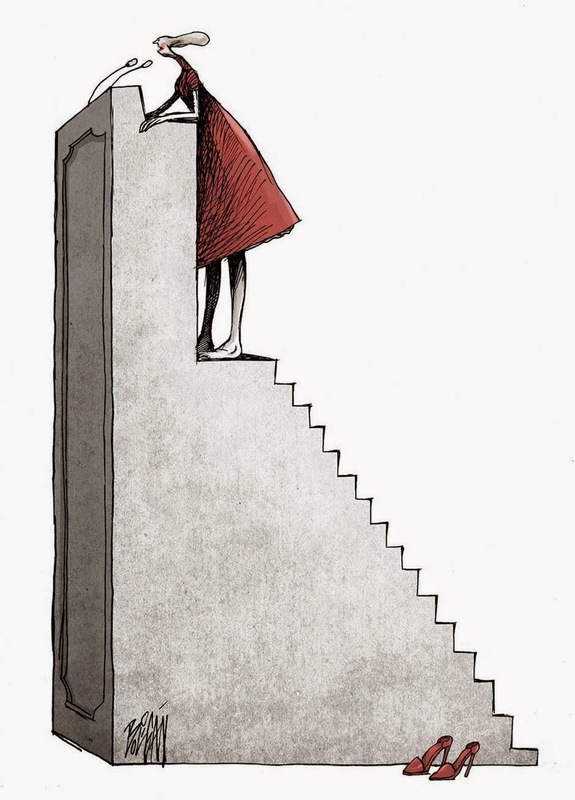 Brian Gable, editorial cartoonist of The Globe and Mail asked six artists featured in the film Cartoonists: Foot Soldiers of Democracy, to draw on a single subject: women's access to political power. The drawings and article here. From the Nieman Foundation for Journalism at Harvard. Satirists around the world come to terms with the danger of "punching up" at those in power. The full article by Jonathan Guyer here. Yesterday on the National Newswatch website. 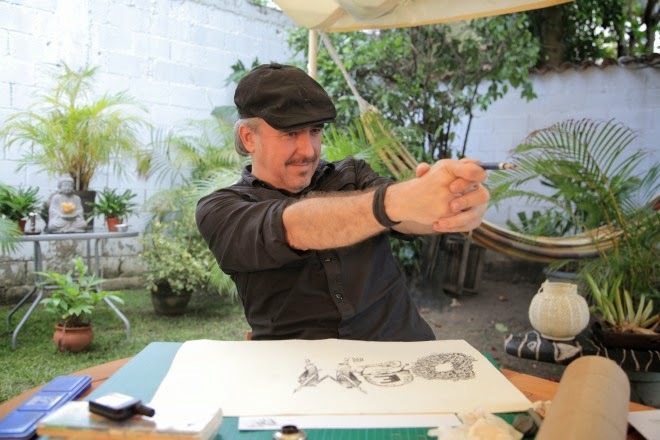 Cartoonist Angel Boligan demonstrates the power of the pen. The documentary "Cartoonists: Foot Soldiers of Democracy" will have its' Toronto premiere at the TIFF Bell Lightbox on March 27 and 28 in the presence of producer Stéphanie Valloatto. 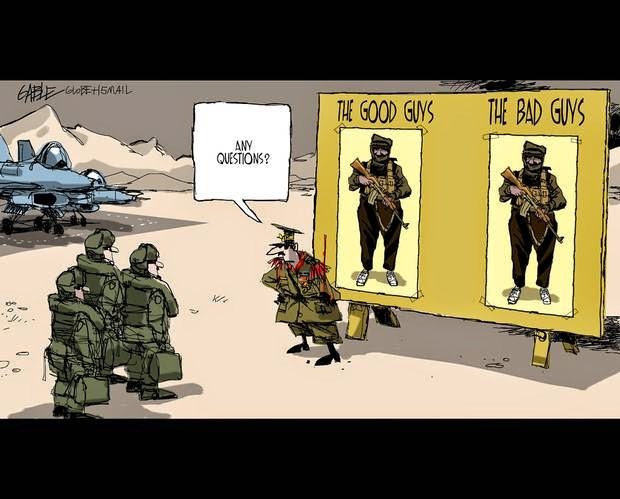 At the March 27 screening, producer Stéphanie Valloatto will moderate a panel discussion on political cartooning in Canada with cartoonists Bruce MacKinnon and Brian Gable and editor Haroon Siddiqui. 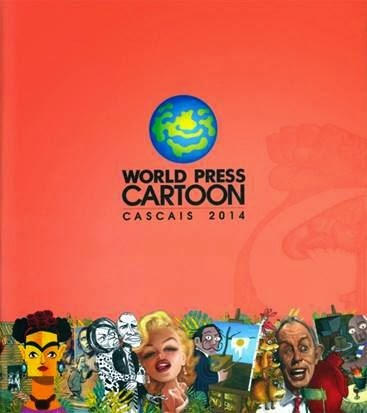 World Press Cartoon faced in 2014 the most serious challenge in its history. In February, when the selection process was already on track, we were deprived of the main sponsor for the exhibition and awards ceremony. The jury meeting was held in June, but it was not possible to find an alternative exhibition hall and a new sponsor. The complete set of winning cartoons, as well as all the works that had been selected for the main exhibition, were published on our website in October. From Cartoonists Rights Network and Hurriyet. Two Turkish cartoonists face up to two years in jail on charges of “insulting” President Recep Tayyip Erdoğan, over a satirical piece on free speech in which they allegedly included a hidden offensive gesture. Bahadir Baruter and Özer Aydoğan, cartoonists for the popular satirical weekly Penguen, have been sued by Erdoğan for the Aug. 21, 2014 cover of the magazine. In the picture, Erdoğan is seen asking whether officials at the new presidential palace in Ankara have prepared “any journalists to slaughter,” referring to ritual sacrifice in Islam. From the National Cartoonist Society. The NCS is sad to announce the passing of “Berry’s World” cartoonist James O. “Jim” Berry on Friday, March 20th at 83. After dabbling with a cartoon strip on his ship’s newsletter while serving in World War II, Jim left a career in business management in 1961 to accept a job as staff illustrator for the Cleveland Plain Dealer. In 1963 he created the politically-orientated panel cartoon “Berry’s World”, which became nationally syndicated. “Berry’s World” would peak appearing in over 1000 newspapers during it’s 41 year run in syndication. Jim was honored with the NCS Divisional Award (Silver Reuben) for Best Newspaper Panel in 1965, 1966 and 1972, among other honors. Jim also received several honors from the American Association of Editorial Cartoonists, and served as president of the AAEC. From the Facebook page of Mike Ramirez. 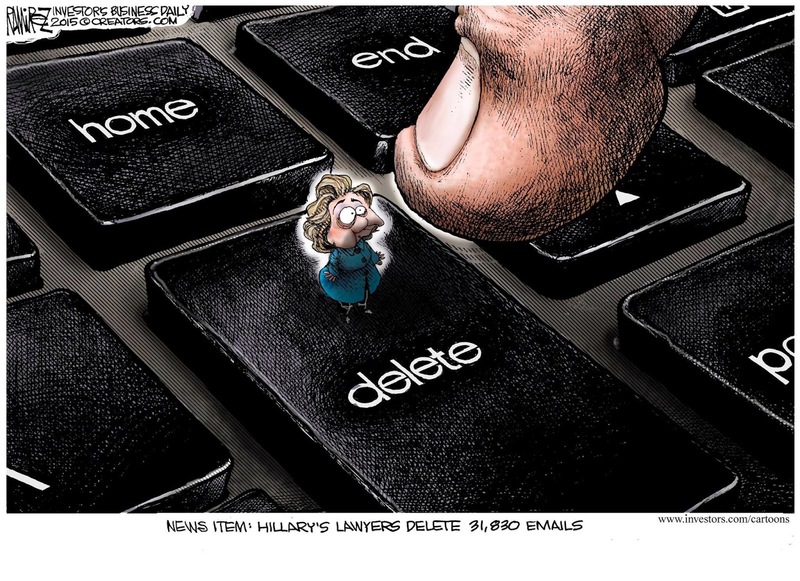 Several readers have asked Mike Ramirez about the process of editorial cartooning. The attacks on French satirical magazine Charlie Hebdo in January threw a global spotlight on the challenges faced by cartoonists worldwide. Index has since its earliest days reported on the persecution of satirists. As part of our work in celebrating as well as defending free expression, Index has this year asked cartoonists to reflect on the past year for free expression in their own way. 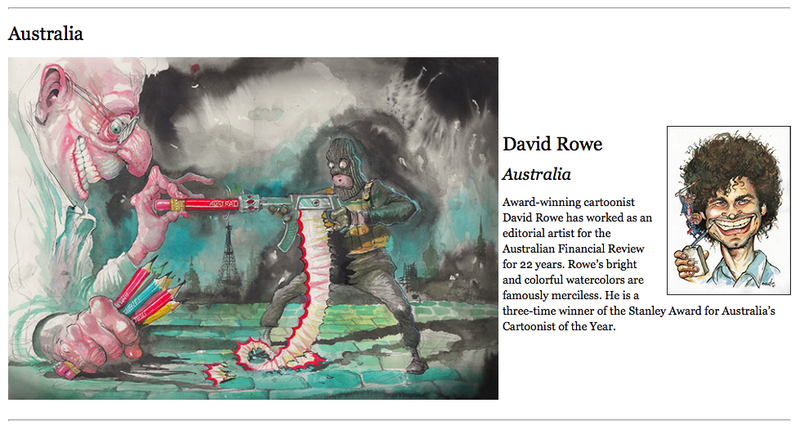 Discover the cartoons of Bonil, Kal, Signe, Plantu, Martin Rowson, Ali Farzat, Doaa El Adl, Zunar, David Rowe and Glez right here. The shootings on January 7 in Paris and February 14 in Copenhagen showed the extent to which cartoonists are now the targets of extremist movements. In other parts of the world, it is often governments that try to silence them, using the law or violence. 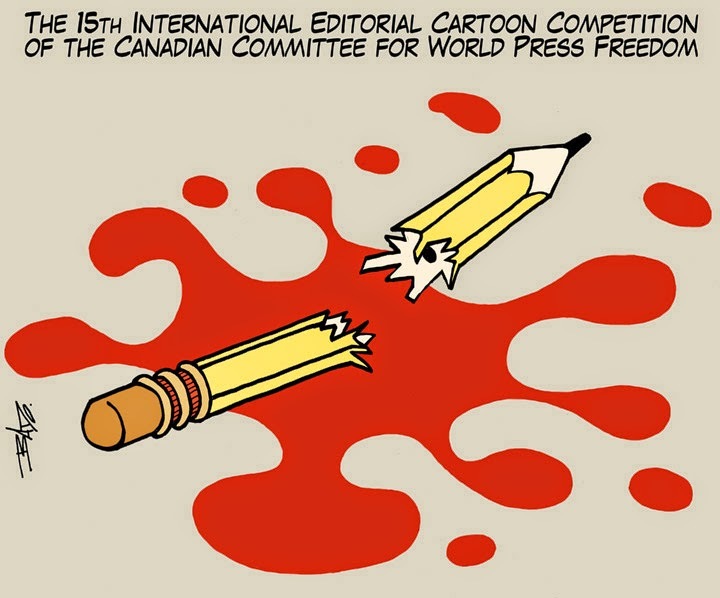 Reporters Without Borders is spotlighting eight cartoonists who are being threatened or persecuted because of their work. Ferzat in Syria, Dilem in Algeria, Vilks in Sweden, Zunar in Malaysia, Prageeth in Sri Lanka, Bonil in Ecuador, Kart in Turkey and Trivedi in India ­– all of these cartoonists have been threatened. Some have been targeted by radical groups, others by govenments that have tried to silence them by means of arrest and prosecution. Some are under both kinds of threat. 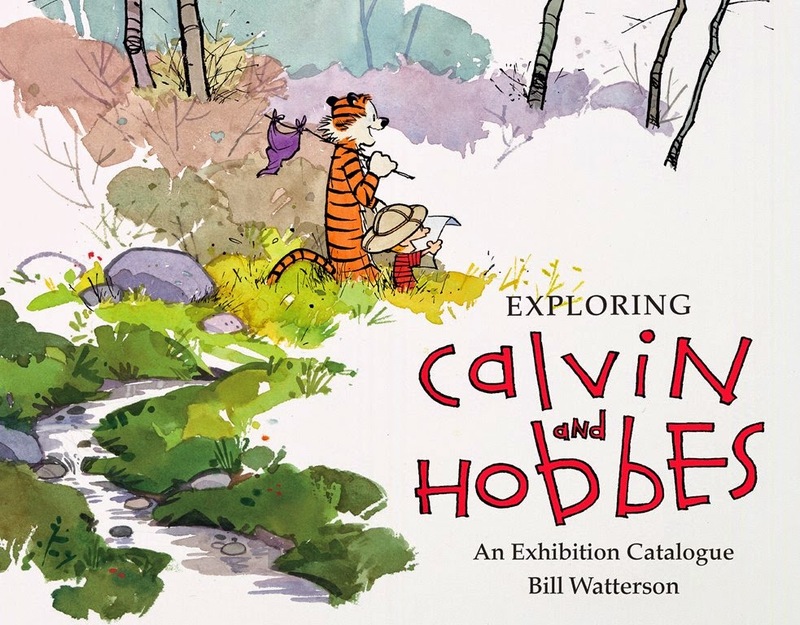 Bill Watterson’s Exploring Calvin and Hobbes An Exhibition Catalogue is now available. 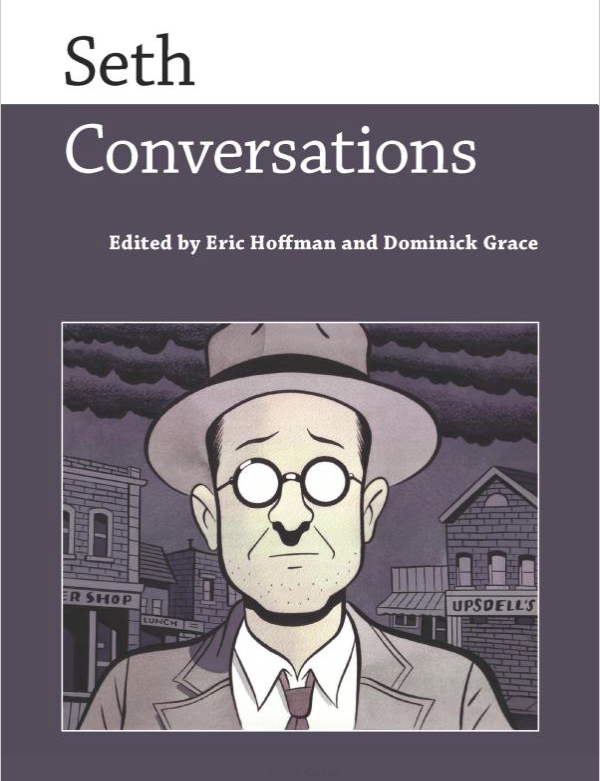 The new book is the catalogue for Bill’s exhibition held last year at the Billy Ireland Cartoon Library & Museum at Ohio State University. Jenny Robb interviews Bill Watterson. Cartooning is a unique world that Peanuts creator Charles M. Schulz once compared to preaching—which, in his view, “I think we have a right to do.” While it’s true the great cartoonist didn’t see himself as a preacher per se, his work spoke to people, raised philosophical questions, and often provided a moral compass for readers. 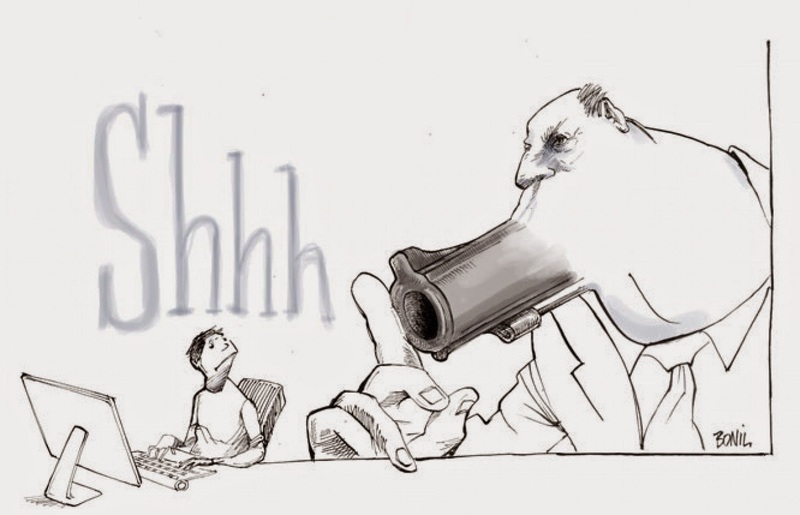 The Herblock Foundation has announced that this year’s winner of the Herblock Prize is Baltimore Sun and The Economist editorial cartoonist Kevin “KAL” Kallaugher . Marian Scott in The Montreal Gazette. 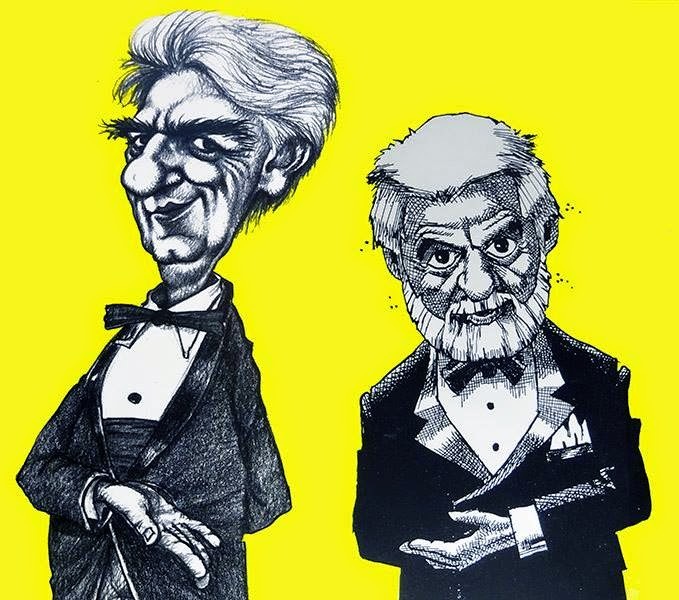 The Montreal Gazette’s Terry Mosher, better known under his nom de plume, Aislin, and La Presse editorial cartoonist Serge Chapleau are being honoured for their lifetime contributions to public discourse. 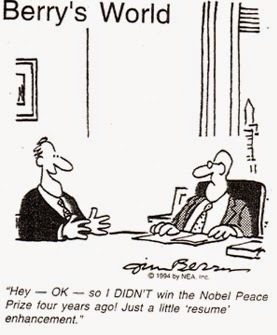 The Public Policy Forum will award the Hyman Solomon Award for Excellence in Public Policy Journalism to the two political cartoonists on April 16. 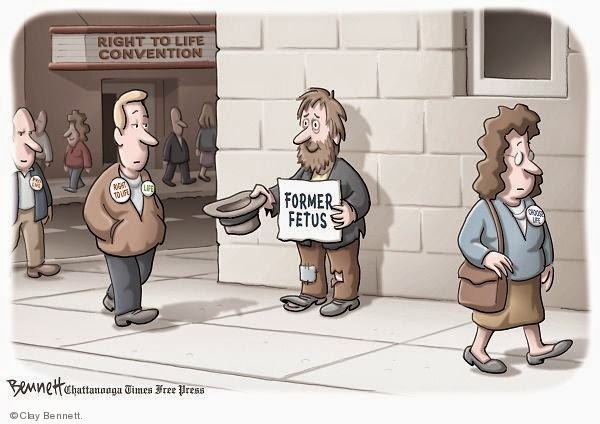 Clay Bennett, editorial cartoonist for the Chattanooga Times Free Press, was the 2014 winner of the Clifford K. and James T. Berryman Award for Editorial Cartooning.